Former WBA junior middleweight champion Erislandy Lara knows all too well what’s it’s like being in the ring vs. Canelo Alvarez. 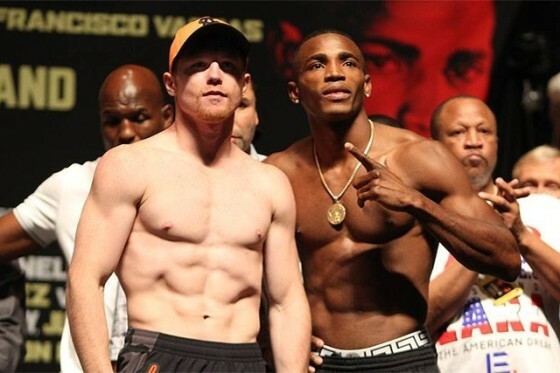 The two faced off in July of 2014 in Las Vegas, with Canelo scoring a razor thin split-decision victory that Lara adamantly claims he deserved to win. 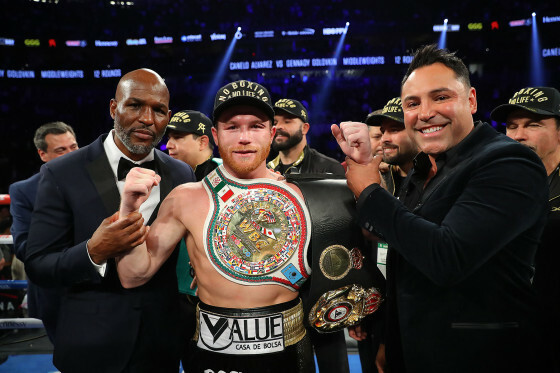 This past weekend in Las Vegas, Canelo (50-1-2, 34 KO’s) was again in a close battle, as he edged out a majority decision over former lineal middleweight champion Gennady Golovkin (38-1-1, 34 KO’s) to capture the WBA and WBC middleweight titles. Lara (25-3-2, 14 KOs) was far more optimistic when watching the Canelo vs. Golovkin matchup, offering praise to both men after the match inside of the T-Mobile Arena. 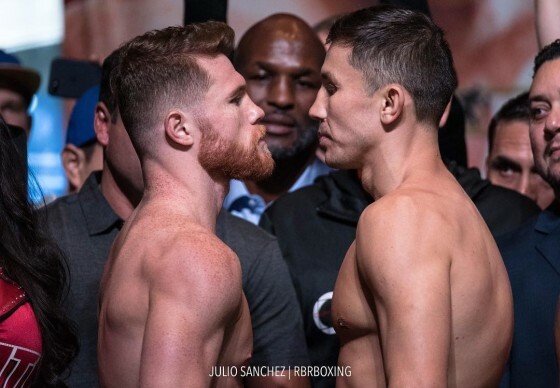 On Friday afternoon, Sep. 14, lineal middleweight world champion Gennady Golovkin and former two-division world champion Saul “Canelo” Alvarez faced off briefly following their weigh-in. And while the face off didn’t last long, you could see the animosity in the air as Alvarez approached Golovkin, only to be restrained moments later as things nearly erupted. Both men do appear to be in great shape. Golovkin hit the scales weighing 159.6 pounds and was noticeably calm and collected, while Alvarez came in weighing 159.4 pounds moments later. On Tuesday afternoon, WBA/WBC middleweight champion Gennady “GGG” Golovkin and former two-division world champion Saul “Canelo” Alvarez made their grand arrivals to the city of Las Vegas ahead of their highly-anticipated rematch on Saturday night, from the T-Mobile Arena. One year ago, Golovkin (38-0-1, 34 KO’s) and Alvarez (49-1-2, 34 KO’s) faced off in a competitive fight that ended up as a split-draw after 12 rounds. The tensions are high heading into this weekend’s second encounter and the lineal champion from Kazakhstan isn’t rattled. 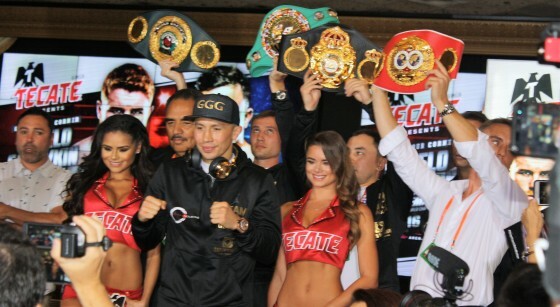 It’s another fight week in Las Vegas, as former two-division world champion Saul “Canelo” Alvarez and WBA/WBC and lineal middleweight champion Gennady “GGG” Golovkin have made their official grand arrivals to the city. Alvarez (49-1-2, 34 KO’s) and Golovkin (38-0-1, 34 KO’s) fought to a highly-controversial split-draw one year ago inside of the T-Mobile Arena, the same place where the rematch will go down this Saturday. “I’m bothered by all the stupid things they’ve been saying,” Alvarez stated to the press after his arrival. 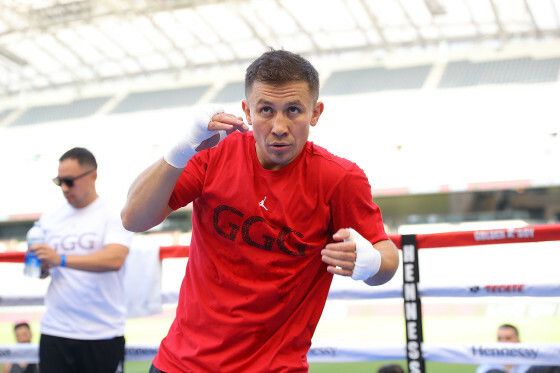 Lineal middleweight champion Gennady Golovkin worked out for the press and thousands of fans on Sunday afternoon in Los Angeles, at the Banc of California Stadium. Golovkin (38-0-1, 34 KO’s) will face former two-division world champion Saul “Canelo” Alvarez (48-1-2, 34 KO’s) on Sep. 15 from the T-Mobile Arena in Las Vegas, Nev. on HBO pay per view in one of the biggest fights of the year. There has been a lot of back-and-forth banter between the two camps over the past few months. 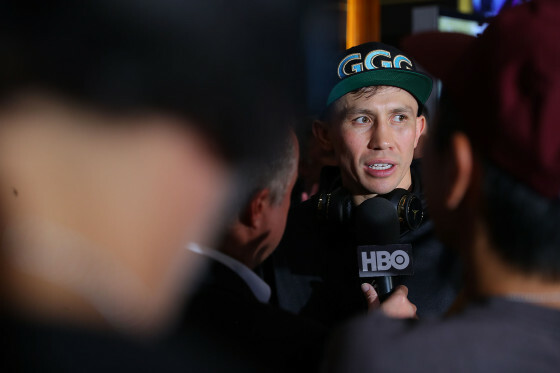 Golovkin and his trainer Abel Sanchez have had plenty of words for Canelo following his failed drug test back in February ahead of their scheduled rematch that was set for May, as the Mexican superstar tested positive for the performance-enhancing drug Clenbuterol. 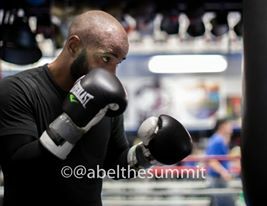 Alvarez was suspended by the Nevada State Athletic Commission, saw the May rematch cancelled, and Golovkin instead went on to defeat Vanes Martirosyan instead, in Southern California. On Sunday afternoon, Aug. 26, former two-division champion Saul “Canelo” Alvarez and WBA/WBC middleweight champion Gennady Golovkin held an open media workout in front of thousands at the Banc of California Stadium ahead of their highly-anticipated rematch on Sep. 15. Canelo (49-1-2, 34 KO’s) will face Golovkin (38-0-1, 34 KO’s) from the T=Mobile Arena in Las Vegas in an HBO pay per view telecast that has bad blood attached to it. 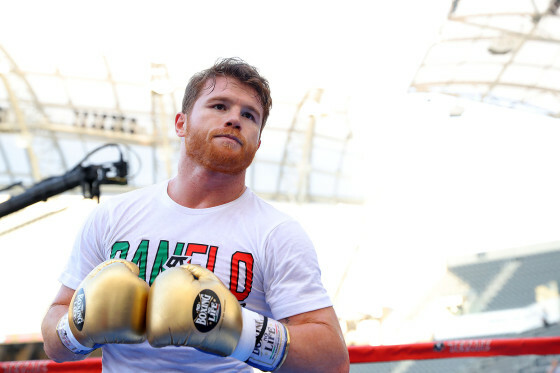 The two camps have been going back and forth with one another in the press for several months now and for Canelo, this isn’t just another prize fight. 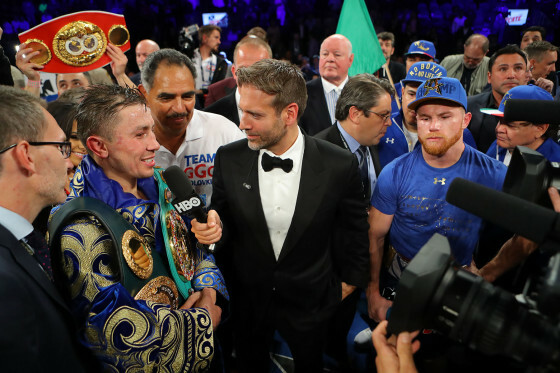 This past Satuday night, Sep. 16, inside of the T-Mobile Arena in Las Vegas, Nev., IBF/WBA/WBC middleweight champion Gennady “GGG” Golovkin retained his titles with a hard-fought and controversial split-draw with former two-division world champion Saul “Canelo” Alvarez. 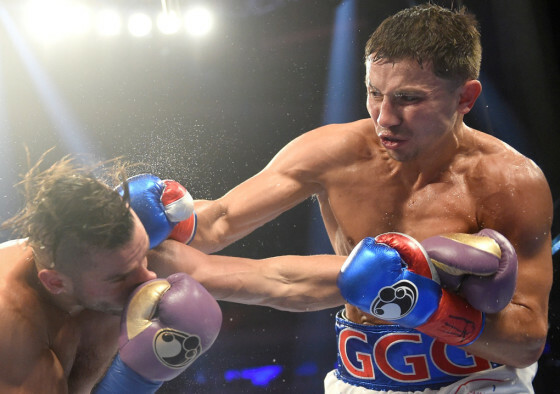 It was an action-packed showdown pitting the strength, power, and disciplined attack of Golovkin (37-0-1, 33 KO’s) against the savvy and cunning Alvarez (49-1-2, 34 KO’s), who boxed, moved, and countered more than we have ever seen him. 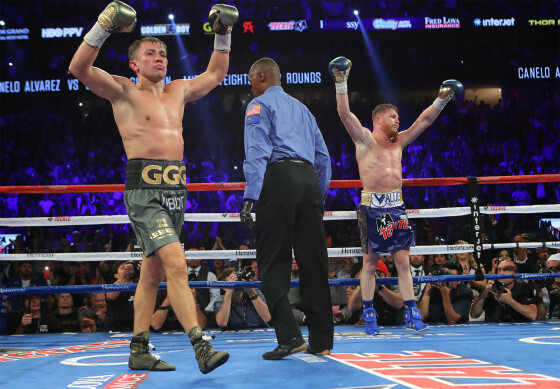 After twelve rounds, scores of 118-110 for Canelo, 115-113 for Golovkin, and 114-114 saw the match end in a split-draw, with both men believing they have done enough to secure the victory. 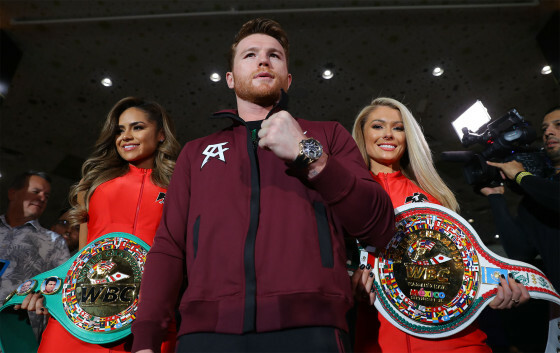 On Tuesday afternoon, inside of the MGM Grand lobby in Las Vegas, Nev., lineal middleweight world champion Gennady “GGG” Golovkvin and former two-division world champion Saul “Canelo” Alvarez both made their official arrivals to the city ahead off their showdown this weekend. On Saturday night, Sep. 16, Golovkin (37-0, 33 KO’s) and Canelo (49-1-1, 34 KO’s) will meet inside of the T-Mobile Arena in an HBO pay-per-view showdown that also serves as the best possible fight to make in the sport. 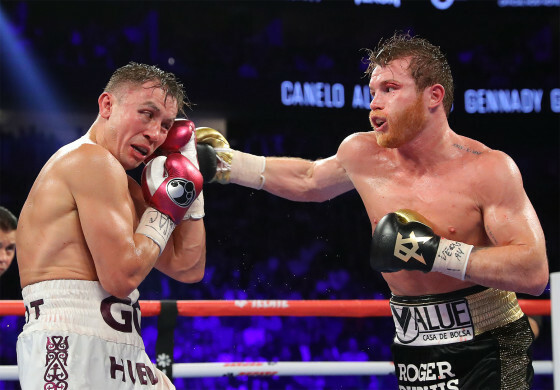 On Saturday night, May 6, Mexican superstar and junior middleweight world champion Saul “Canelo” Alvarez dominated an outmatched former middleweight champion Julio Cesar Chavez Jr. over twelve one-sided rounds. Alvarez (49-1-1, 34 KO’s) was far too strong, poised, and precise throughout their HBO pay per view matchup inside of the T-Mobile arena in Las Vegas, Nev.
With over 20,500 partisans in attendance for another wild Cinco De Mayo weekend, Alvarez proved himself to be far superior in every category, often tagging Chavez with sharp blows. Following twelve rounds, scores of 120-108 were read across the board for the Jalisco-born fighter, who continues to cement himself as the sport’s biggest star. 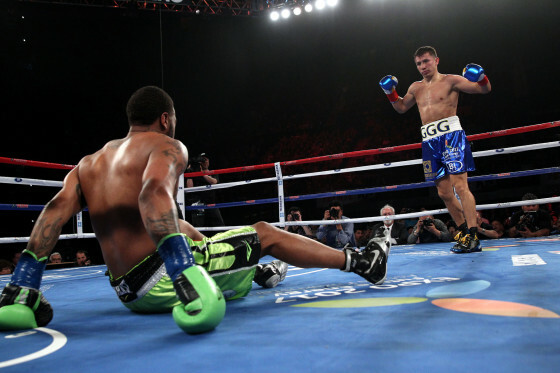 On Saturday night, March 18, WBA/WBC/IBF world middleweight champion Gennady “GGG” Golovkin defeated former world champion Daniel “Miracle Man” Jacobs via unanimous decision after twelve rounds inside of Madison Square Garden in New York. Golovkin (37-0, 33 KO’s) got off to a cautious start through three rounds, but was able to register a knockdown of Jacobs (32-2, 29 KO’s) in the fourth round courtesy of a pair of right hands. 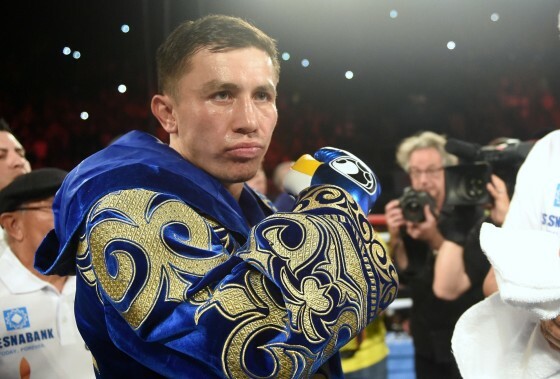 Jacobs wasn’t rattled however, as he picked himself up and fought courageously the rest of the match, often troubling Golovkin with movement and sharp-punching in the face of one of boxing’s most dangerous punchers. It was business as usual for Gennady Golovkin on Saturday night, April 23, as he faced off with contender Dominic Wade inside of the Forum in Inglewood, Calif.
Golovkin (35-0, 32 KO’s) was on another level than his Maryland-born opponent, as he dropped him in the first round with a right cross. Two more knockdowns followed in round two, with referee Jack Reiss wisely waiving the match off after the second. 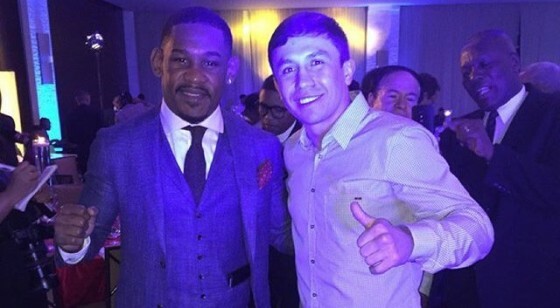 Earlier today, in Panama, middleweight world champions Gennady Golovkin and Danny Jacobs came face to face. Golovkin, the division’s IBF/WBA champion, is regarded as the WBA “super” champion while Jacobs is considered the WBA’s “regular” champion at 160 pounds.